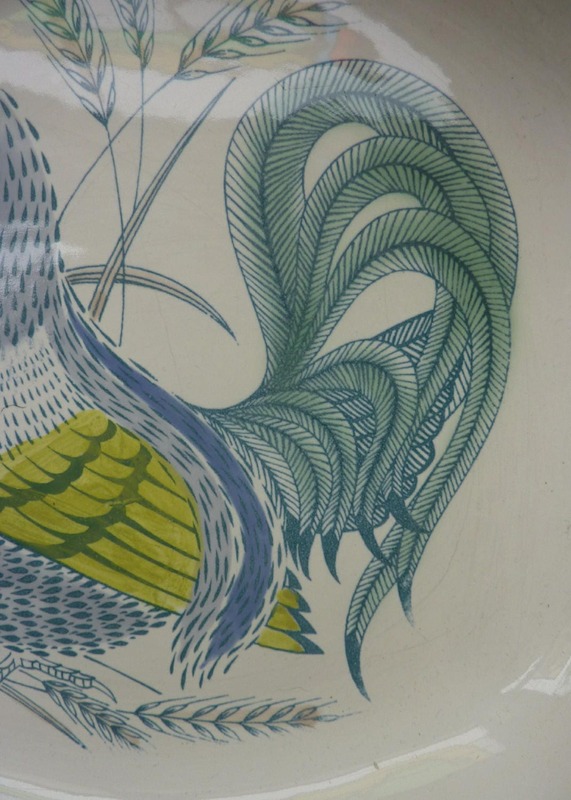 This is a lovely large serving dish - featuring a stylised Cockerel or Rooster in the centre. 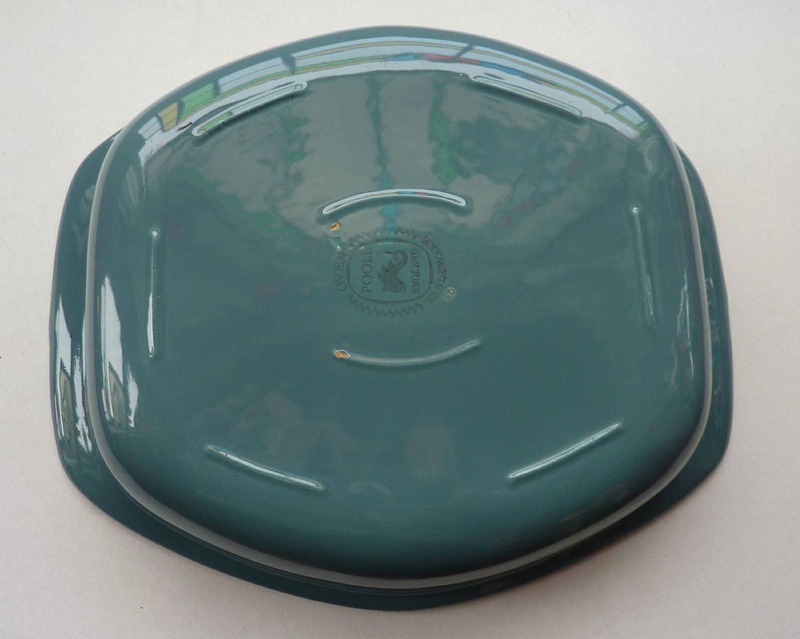 It is a serving dish when can also be used in the oven and taken out and served straight to the table. 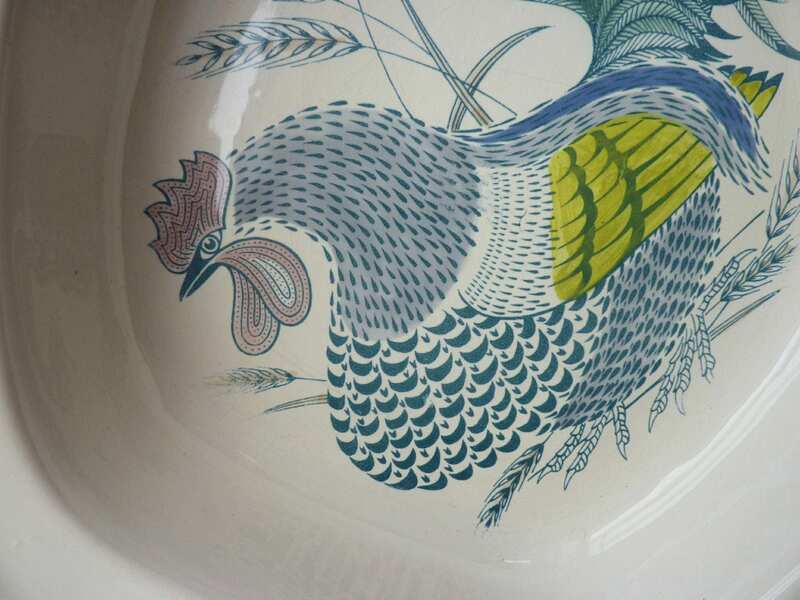 This lovely serving bowl was designed in 1962 by Robert Jefferson for Poole's Lucullus range. 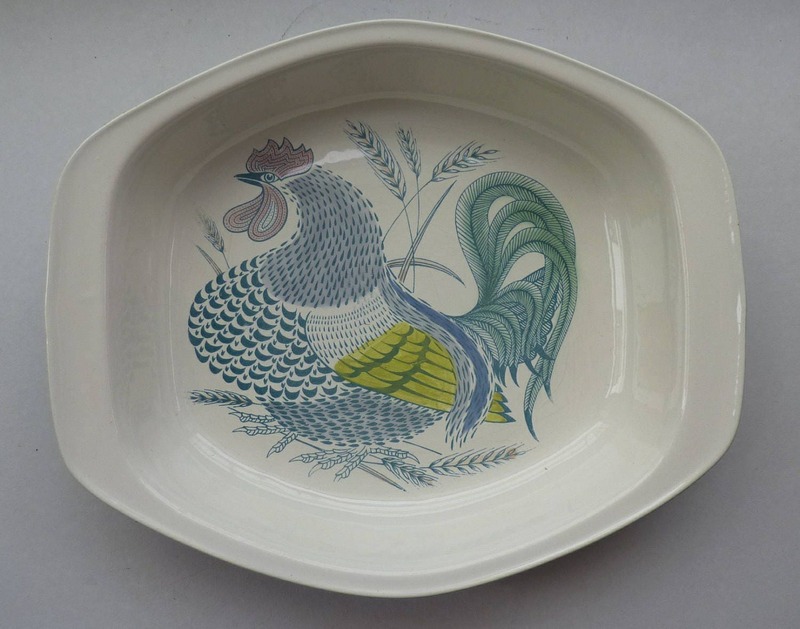 The roasting dish design features a large colourful chicken or rooster on a white background. The edges and base are a petrol blue colour. 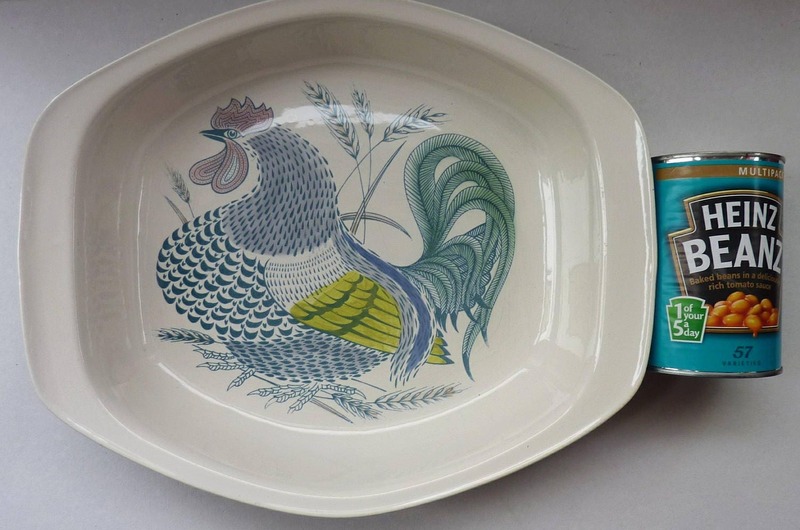 The dish is free of any chips or cracks and is in excellent vintage condition. No staining or signs of having been used. Sadly for UK posting only.